Born and raised in Wisconsin, Linda transferred to Winchester 8 years ago where she completed her bachelor’s in management online with honors. Upon completion, she realized that the corporate world no longer fulfilled her needs so Coach Linda went back to her passion and burning desire of helping others that was originally born in 1996 when she had opened her very first fitness center called “All Around Health & Fitness”. 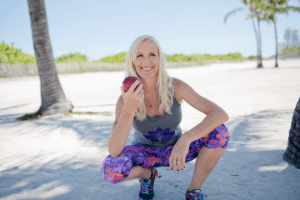 Four years ago Coach Linda launched her current business; Natural Health & Fitness Solutions, where her holistic health coaching practice and personal training techniques merged to reveal the necessary solutions to successfully transform her clients Naturally ~ Inside & Out. Coach Linda is a Certified Holistic Health & Wellness Transformation Coach who focuses mainly on emotional eaters. Along with finding out the imbalances in their life; whether poor food choices, relationship issues, lack of sleep or too much stress, Coach Linda guides each of her clients through a customized step-by-step process that gives education and mindful suggestions to permanent healthy lifestyle changes so they can achieve their specific personal health & wellness goals. 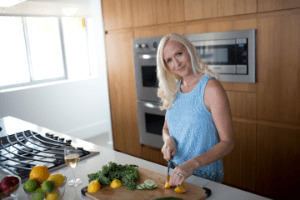 In her specific “End Emotional Eating” program, Coach Linda shows clients to “eat what they love and love what they eat” through a mindful eating program that breaks their eat-repent-repeat cycle. A program that shows how to finally stop depriving oneself, succumbing to temptation, feeling guilty and then repeat the process all over again. Where there are no more rigid rules, strict exercise regimens, drugs that don’t work, crazy diet or food substitutes. Coach Linda helps heal those deep wounds attached to foods from specific events in their life through deep transformation coaching skills. Coach Linda is also a Certified Personal Trainer and Corrective Exercise Specialist that trains clients to correct their muscles imbalances, takes over where physical therapy ends and helps them achieve their specific fitness goals or to just get moving! Linda is a certified BodEn Trainer.